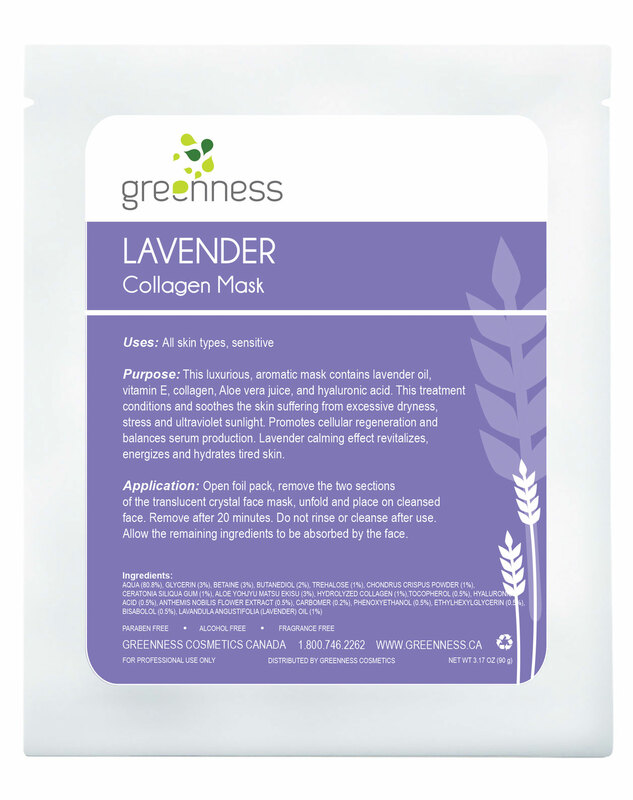 This luxurious, aromatic mask contains lavender oil, vitamin E, collagen, Aloe vera juice, and hyaluronic acid. This treatment conditions and soothes the skin suffering from excessive dryness, stress and ultraviolet sunlight. Promotes cellular regeneration and balances serum production. Lavender calming effect revitalizes, energizes and hydrates tired skin.